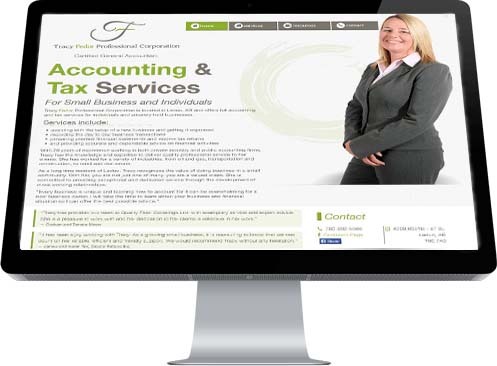 To create a simple, stark, yet effective website for Chartered professional Accountant, Tracy Fedor, Industrial Netmedia stripped out distracting imagery and other elements and went straight to the heart of the matter with extra large, bold type of what is essentially a long-tail keyword, "Accounting and Tax Services for Small Business and Individuals" This lean, direct approach is perfect for the no-nonsense world of number crunching and the balance of the website reflects the same austere, informative trhrust of the home page. Click here to get a quote or contact us to start your project. See what our clients are saying. We are incredibly pleased with how the Website is landing on Google, it’s almost always number one and sometimes number two. The business increase has been dramatic! Thank you so much to all of you at INM, not only were you helpful, but most importantly you delivered exactly what we needed. "I'd recommend INM to anyone"
Industrial NetMedia did a great job designing my website! They took a lot of time to understand what I wanted first and then made it all happen, while keeping me involved in the process. I'd recommend INM to anyone who wants to build and market a website. "He gets top marks in all categories"
Mike is by far the best techno weenie I have ever had the pleasure of working with, and I still deal with him on a regular basis.. I trust his opinion on anything in the computer world over anyone else I know.. to consult for me on technical issues whenever I get over my head. He gets top marks in all categories, and I promise you will not go wrong with whatever it is you want him to do. "INM has taken our website to the top of the search results in Edmonton"
"Mike is the easiest person to work with"
Mike is the easiest person to work with. I provided him with an idea and he made it better in every area. Mike is always available to answer questions or be at your place of business to solve your problems. I have never had the pleasure of working with a more knowledgeable, professional person before. Hands down, Mike is the best at what he does! "I look forward to continue working with them on any future projects"
Industrial NetMedia has custom designed a practical, efficient, user friendly program for our company that has increased our productivity significantly. The technical support and attention to the customer needs has been outstanding. I look forward to continue working with them on any future projects that may develop. "We would highly recommend Mike"
We would highly recommend Mike for any promotional or advertising project to build or enhance your website. "I’m very happy with all the work done"
I’m very happy with all the work done on the re-launch of my website and Social pages now. Night and day from the other company I first worked with. "I'd recommend INM to anyone who wants to build and market a website." "We were able to work with them by e-mail and had a professional finished product in record time." INM created a fresh dynamic website that is very easy to navigate and maintain. They made the process so easy. We were able to work with them by e-mail and had a professional finished product in record time. "We are happy with INM's service and performance." Industrial NetMedia has been providing Internet marketing Services for Leduc Golf Club for several years. The Golf Club was looking for a more economical method of advertising and turned to Industrial NetMedia for a more comprehensive marketing plan. This included a new website, advertising, social media and email campaigns. As a result this was a busy year and this was one of our smallest advertising budgets. We are happy with INM's service and performance. "Our experience taught us that if we could dream it, the visionaries at Industrial NetMedia could deliver"
Ironhand Drilling Inc. has had the pleasure to work with Industrial NetMedia on a rebuild of our corporate website and developing a custom-designed Human Resources database. We have been overwhelmed with the professionalism and expertise of the corporate team at Industrial NetMedia, from marketing through programming. Our experience taught us that if we could dream it, the visionaries at Industrial NetMedia could deliver a product far exceeding our expectations. expectations. We would like to express our appreciation to everyone at Industrial NetMedia for their part in creating a product that is truly second to none. "Working with the team at Industrial NetMedia has been a great experience"
Working with the team at Industrial NetMedia has been a great experience. Their knowledge of marketing was incredibly helpful when it came to making decisions on the initial strategy of how to recreate mG Artistry’s online presence. INM works in a very timely fashion. As soon as the new website went live I was getting response from people who were searching for my services and the traffic has continually grown. "We are really pleased with the results"
Industrial Net Media was such a great fit for our company. They were receptive to our needs and gave our website a much needed update. We are really pleased with the results and have already had positive feedback from our customers. I would recommend them to anybody who wants to see results fast! "Keep up the great work!" I just want to say how much we at Binh’s Nails Tamarack appreciate the terrific job you guys do with our social media stuff. Our blog is actually read by lots of our customers and they like to chat about the interesting tidbits which you guys post for us every day. Keep up the great work! "we quickly built a clientele thanks in part to your social media efforts"
One Pot Simmer is truly indebted to INM for helping to make our new restaurant a huge success with top quality posts on our Facebook, Twitter and Google+ pages. It’s hard for new businesses to get established but we quickly built a clientele thanks in part to your social media efforts. Our great food probably helped a lot too! Thanks so much for how much support you always give us! You really do spoil us! "It has been a pleasure." It has been a pleasure working with you. I like the website and think it’s a great job. I feel I can endorse you guys with good cause. 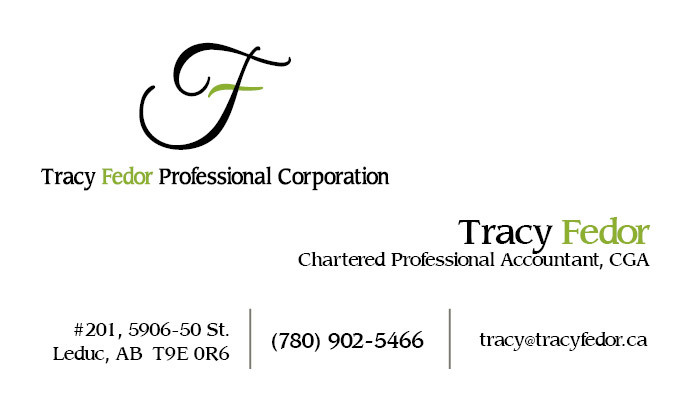 We are a mid-sized web company based out of Leduc, Alberta. We handle all things web and specialize in websites, web applications & internet marketing.